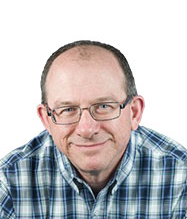 Dennis has spent most of the last twenty years working with companies to find the most effective business processes and configure their business software to support those processes. As an accountant and information systems professional, he has helped companies of all sizes across many different industries better meet the goals and expectations of all stakeholders. He enjoys teaching new concepts and methodologies and loves a good talk about innovation. When he is not at work, he enjoys spending time outdoors with his wife and woodworking. I first worked with Algorithm when I was the IS Director at Second Harvest Food Bank of Middle Tennessee. We were planning a conversion and needed a business partner that would help make it a success. I previously had worked in the reseller channel for quite some time and Algorithm had always been a leading organization and well respected. That is what got their foot in the door on the project. Their support and expertise have made them essential to the food bank. Organizational changes at the food bank caused me to start looking for employment options. Working on the conversion reminded me how much I enjoyed helping customers solve problems when I was a consultant, so I decided to look take that path. It just so happened Algorithm was looking for a consultant with accounting experience at the same time. I was able to move immediately from the food bank to Algorithm in May of 2016. What do you most look forward to when going to work? Each day is different and there is an opportunity to learn something new that will help my clients be the best they can be. I can’t think of anything more rewarding than helping someone solve a problem or become better. But most of all, remember people are looking to you for help with a problem that is stressing them out. Don’t take their stress personal, just their solution. What is one tech/gadget you can't live without? Strange as it may seem, I am not a techy gadget guy. I participated as a speaker on a panel once and they asked me what my favorite gadget is. I had to say Inspector Gadget. What is your go-to karaoke song?What is the best news you have ever received? It would have to be when my wife said she would marry me! you mention you like the outdoors. What's your most memorable outdoors experience? My boys and I went camping in the Rocky Mountains. It was a new moon and we could see more stars than we had ever imagined previously. with your passion for innovation, what new developments are you most looking forward to? I am looking forward to seeing how block chain develops. I think it will be truly disruptive. On the more tangible side of tech, Graphene is going to be something to watch.